There is a saying that rats leave a sinking ship before anyone else, and whilst it would be unfair to call the fine gentry that have left McLaren for Mercedes “rats”, there may be some truth in the saying. 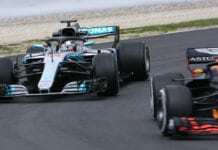 Not only has Lewis Hamilton ditched the Woking outfit but now Paddy Lowe – the team’s long serving technical director – has decided that his time in Surrey is up, with the sunny climbs of Brackley, Oxfordshire and Mercedes on the horizon for 2014. 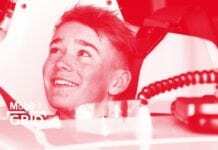 On the other side of the fence/M40, Mercedes now boasts a fantastic driver line-up, a great acquisition in ex-Williams man Toto Wolff, and now a the very talented technical director in Paddy Lowe. Short of signing Adrian Newey Mercedes have done all they can to ensure a strong back room staff for 2014. But is it too strong? Speculation is rife that F1 pseudo-legend Ross Brawn may leave the team. You could sympathise with Brawn, who must be wondering how he has gone from winning the world title in a car branded with his name to being seemingly excess to requirements in 3 seasons, especially after sealing the coup of the driver transfer season – tempting a certain Lewis Hamilton away from his childhood home to strange and German lands. 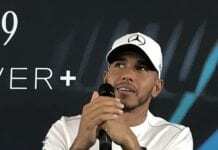 Whilst money obviously had a large part to play in both Lowe’s and Lewis’ move to the three-pointed-star (McLaren MD Jonathan Neale described Lowe’s offer as a “telephone number salary”) it would be foolish to assume this was the sole motivation for their departures. It’s unlikely either were on minimum wage at McLaren. With the introduction of new engine rules next year likely to be both quarrelsome, frustrating and expensive for McLaren added to the departures of key staff, many of us Sett dwellers will be wondering where this leaves McLaren? Some reports are even suggesting they could make a return to Honda power – thus completing the Brawn/Mercedes/McLaren circle of engines. With Mercedes apparent commitment and determination for success, it might be a different shade of silver regularly gracing the top step come 2014, with the rocket red packed well out of sight. Previous articleAdrian Sutil is back! Missed this week’s F1 launches? Here they all are in video!